This beautiful dessert has got to be one of the easiest, fastest desserts you could ever hope for. 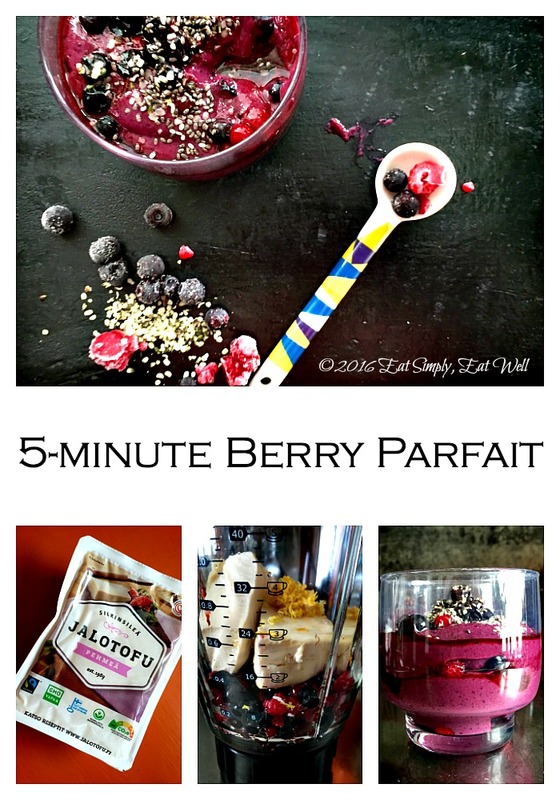 Just four ingredients, this lovely parfait is the perfect afternoon snack, quick breakfast on the go or makes a great dessert. Any way you eat it, you’ve gotta love its simplicity. The secret to the creaminess is the silken tofu – an ingredient available nearly everywhere. Tofu is made by first soaking dried soybeans overnight and then grinding them to a pulp. The pulp is then pressed through a cheesecloth to remove the milk – producing soy milk. You could bring the soy milk to a boil, pour it into jars and enjoy it fro there – it’s really delicious. To make tofu, the soy milk is heated and then some kind of acid – vinegar, lemon juice – is added to make the milk coagulate and form curds. The process is much like making ricotta cheese, actually. the curd mass is spooned into a tofu mold and the excess liquid is drained away. Silken tofu is simply tofu that has been drained in a mold, but hasn’t been pressed, so it contains higher levels of moisture than the firm tofu you might want to use in stir fries. It has a texture similar to a full fat Greek yogurt – but with a lot less fat and none of the dairy, making it a great option for people with lactose intolerance or who want to simply avoid dairy. It’s creamy texture lends well to desserts like this one – or to dips and spreads, such as a tofu mayonnaise. It’s real food and close to its whole food form and undergoes much less processing than most soy consumed in food products today. Much of the soy grown in the world today is GMO soy and heavily sprayed with pesticides, so it’s really important to spend the money and buy organic soy products. Check your labels! As this article by Bon Appetit says, there has been a lot of research done around soy and whether or not you should be eating it. As with so many products, it depends…and everything should be eaten in moderation. Most scientists agree that moderate amounts of soy from a good source offer multiple health benefits. Personally, I love soy and eat it once a week or so. Desserts like this one are a wonderful way to include it in your diet, so get out your blender and let’s get rolling! 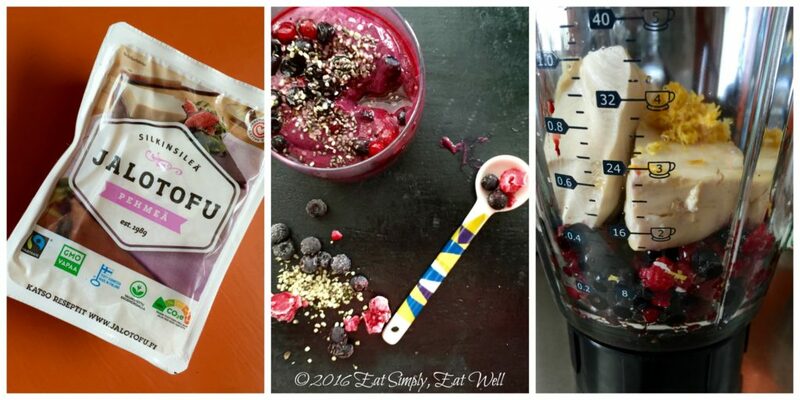 Combine the tofu, 1 1/2 cups/4 dl of the berries, maple syrup and lemon zest in a blender. Blend on high speed until smooth. Taste; and add more maple syrup if you prefer it sweeter. 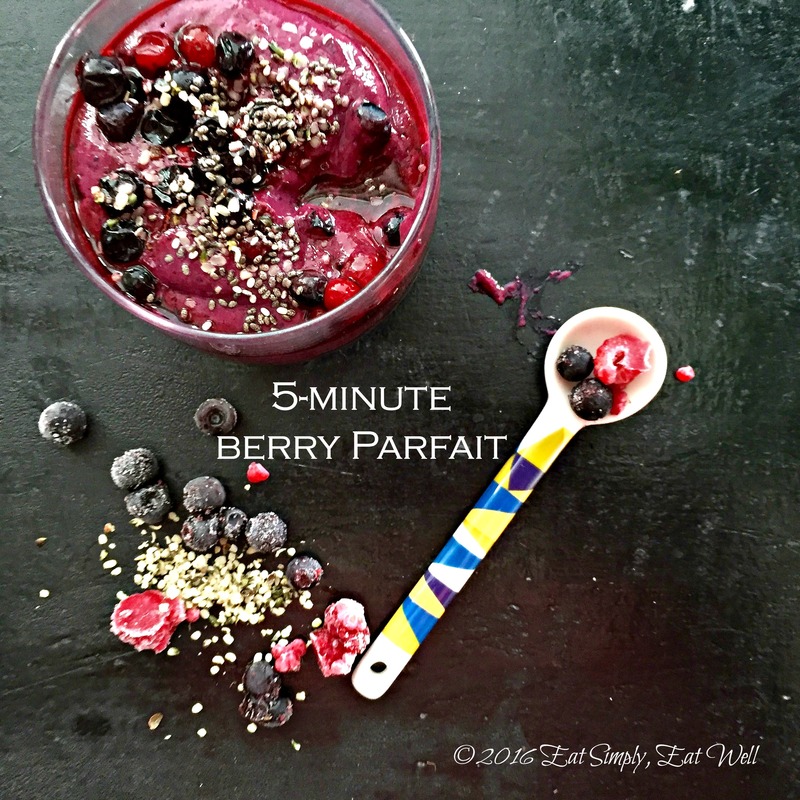 pour a heaped spoonful of the remaining mixed berries into the bottom of four short, clear glasses. 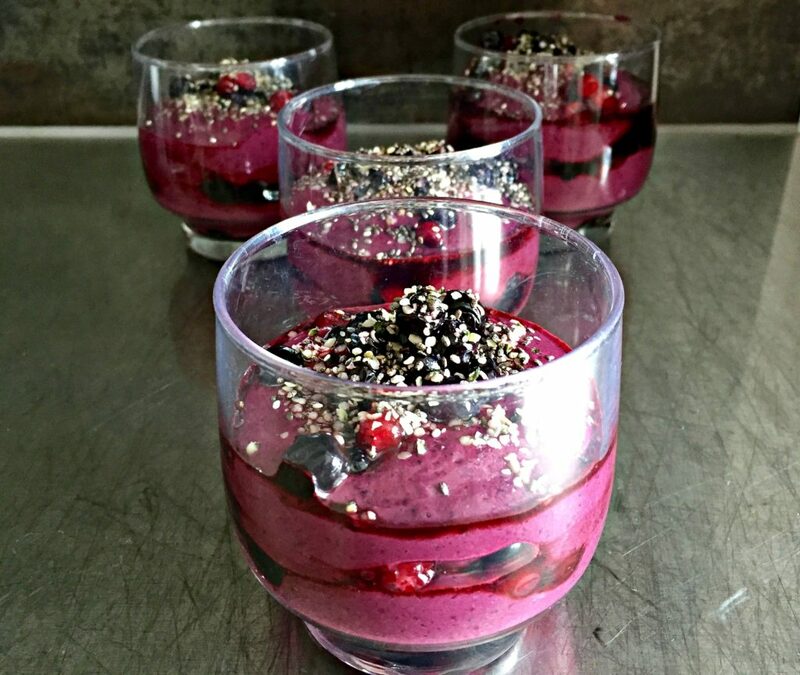 sprinkle each parfait with 1/2 teaspoon of hemp hearts or Chia seeds, or both.